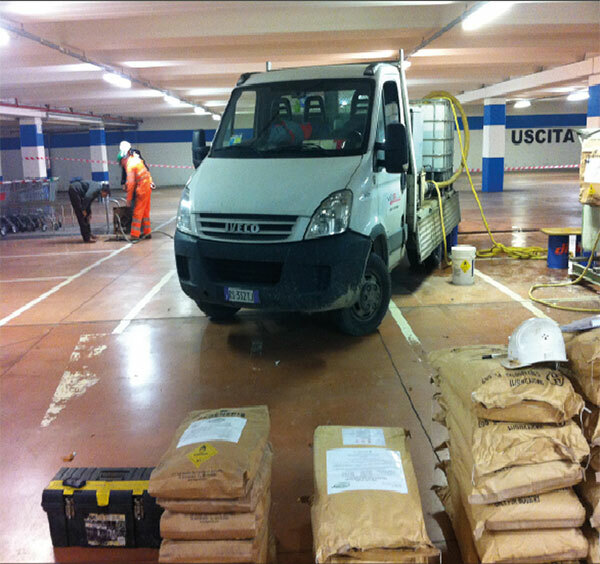 Significant MtBE contamination (up to 1,000 μg/L) was discovered during the redevelopment of a former petrol fuelling station into a commercial retail centre in a municipality located in the Province of Milan. 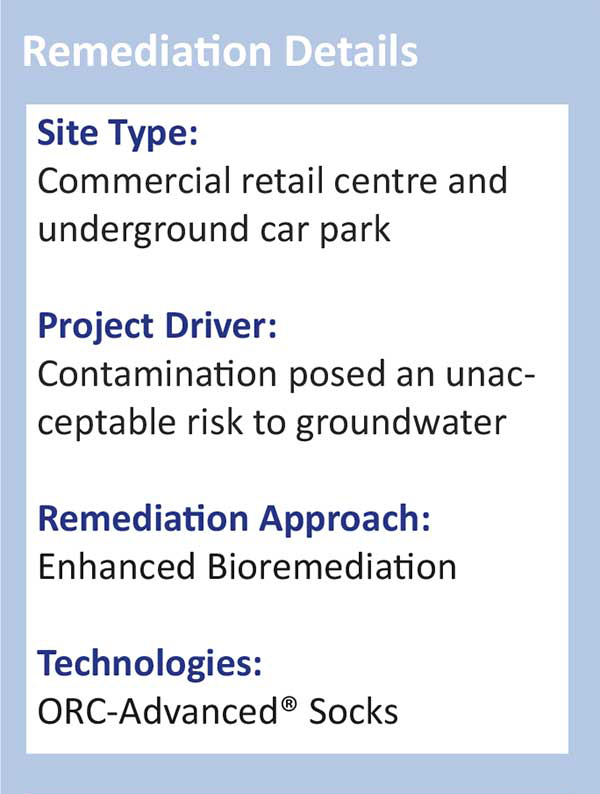 Resulting from historic leakages of underground storage tanks (UST), the contamination (including BTEX and TPH) required remediation to reduce nuisance odour and risk to groundwater. However, the construction programme was not postponed to allow for remediation to take place. The contamination was present in the soil both below the structure and at the building boundary. As any delay to the construction programme was impermissable, treatment took place after the building was erected. To treat the contamination at the boundary, 3 wells were installed. 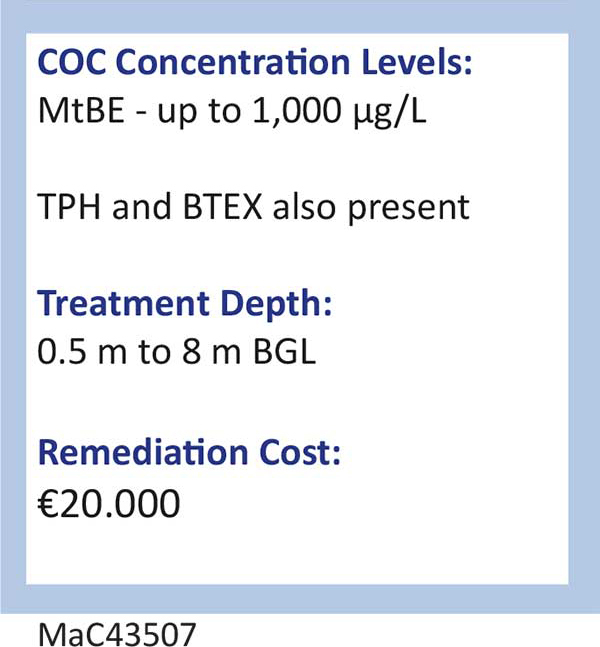 ORC-Advanced Socks were emplaced with treatment depth range of 0.5m to 8m BGL. The contamination present beneath the new building was treated by mixing ORC-Advanced and ORC Primer into a slurry and injecting it into 7 treatment wells, which had been pre-installed during construction. ORC-Advanced (Oxygen Release Compound) employs advanced Controlled Release Technology (CRT). 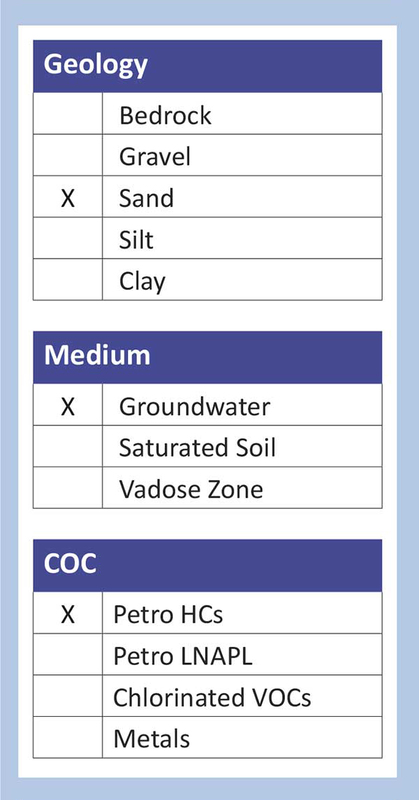 Following application, ORC-Advanced provides a consistent release of dissolved oxygen for periods of 18 months driving indigenous bacteria to completely degrade target contamination. As these naturally occurring processes occur uninterrupted, no above ground equipment is necessary, allowing the technology to be used in a variety of settings – in this case: a newly constructed retail centre with underground car park – where access is limited.